I’m a ‘hands-on’ kind of cook. My favorite kitchen appliance is a sharp knife. As I may have mentioned one or fifty times, I don’t use a lot of electrical kitchen gadgets. Oh I like them; I want them; I even own a few. They just never get used. They’re at the back of the cabinet in the corner (along with my special pot for asparagus and the one for sweet corn, which also don’t get used). It’s ever so much easier to wash a knife than it is to wash a food processor. There are one or two hand gadgets, however, that I love and use often. It’s for crushing garlic. Three or four twists and 3 cloves of garlic look like this. Did you know the health benefits or garlic are much greater if it’s crushed? It releases more allicin than when it’s chopped. Of course it’s also healthier if you eat it raw…..
A mezzaluna and chopping block. I bought them years ago at Williams Sonoma – back when it was only mail-order (at least, in the Midwest). Both gadgets make short work of one of my favorite summer chicken recipes: grilled, with lots and lots of herbs stuffed under the skin. Having an herb garden is also beneficial…. Early in the day or the night before snip, chop and mince herbs and garlic. You are making a paste so they should be fairly fine. Put all into a small bowl and add the lemon juice, salt and pepper. Mix well. Add enough olive oil to make a thin paste – it won’t hold together but it shouldn’t be like a vinaigrette. 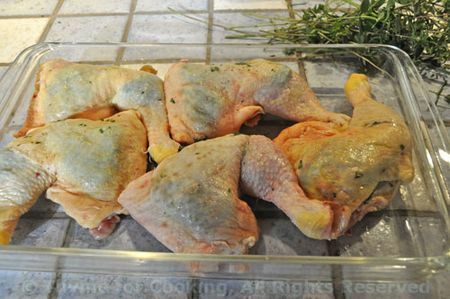 Loosen the skin on the chicken by slowly working your fingers between the flesh and the skin. Try not to puncture the skin. 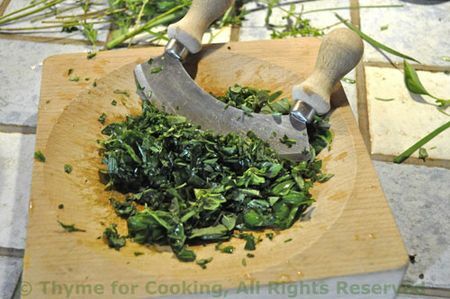 With your fingers take a bit of the herb mixture and put it under the skin, smoothing it over the flesh. Stretch the skin to cover and put in a glass baking dish of some sort, just large enough to hold all of the pieces. Put about half of the mixture under the skin of the pieces. When finished, add a bit more oil to the rest of the herb mixture and rub/pour over the the top of the pieces. 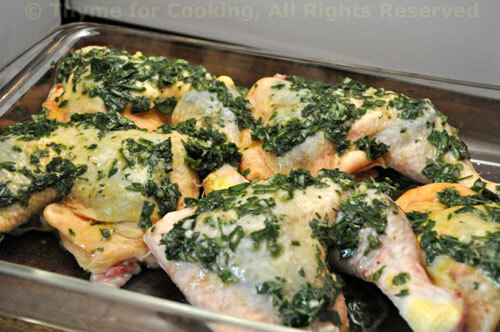 Cover with film and refrigerate until ready to cook. 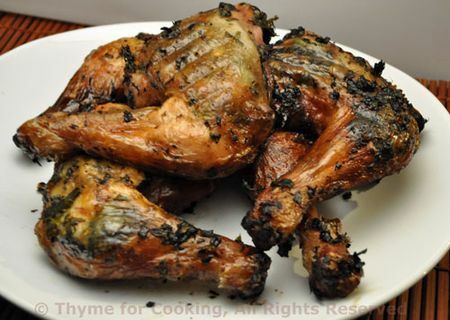 Cook on barbecue grill for 30 – 45 minutes. Chicken is done at 170F (76C) or when juices run clear – poke with a skewer or knife. Thighs and legs take a bit longer than breasts. Try not to overcook. Start it over direct heat, but watch carefully – the oil will cause flair-ups. Once it gets some nice color/flavor move it to indirect heat, close cover and let finish cooking. Add sweet corn and serve. I too am a big fan of sharp knives (I loathe dull knives, having cut myself very badly with a dull paring knife) and have always wanted a mezzaluna but have been coerced into making do with one of our chef’s knives for finely chopping herbs and garlic (we have a couple of garlic presses, mortars and pestles and two small food processors, but rarely use them for crushing garlic). Chicken…my all time favorite on the grill. This looks SO good…as usual, Katie. I think we have chicken on the grill at least once a week, no matter what time of year! Wow! 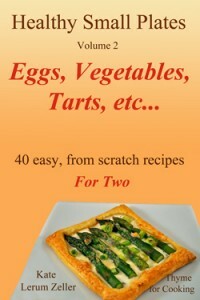 Those look wonderful and I love that they are packed with herbs! Grilled chicken is great but this way is amazing. After a forever of never having owned a quality knife I have recently been given a knife block as a gift – an expensive one too. I am soooooo lucky and I now dice everything at every opportunity !! ove the gadgets and love the chicken. Right now I want to go get to Williams and Sonoma for some vanilla paste. Delicious chicken Katie! Thanks for the tip….indirect heat with the lid closed! 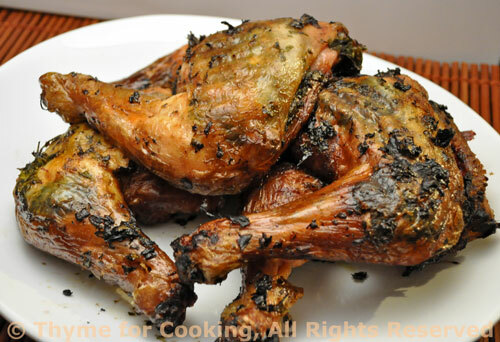 I must tell my DH, as we have had some over charred chicken. 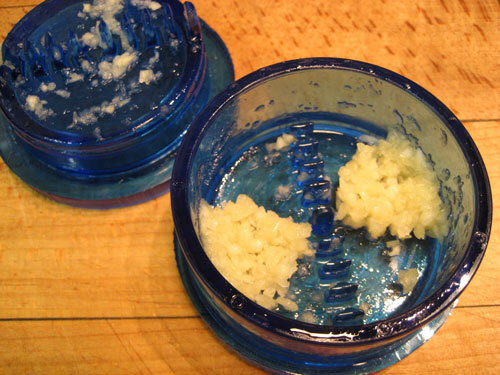 I would love to get my hands on a garlic crusher like yours – have never seen one like it! Some people go over board with kitchen gadgets (ie donut maker, hot dog cooker, etc) so my purchases are very thought out. I love lemon chicken, but we always bake ours. However, your picture tells me that I really need to try grilling it-very crispy, Yum! What a comprehensive and engaging post. Simple flavors that need no adulteration – bravo! This looks so good. Glad I stopped by. Cindy, we have it a few times per week as well…. never tire of it. Thanks, Elle – I do rather like fresh herbs…. anningroad, oh you ARE lucky! Have fun! Val, I always go to WS when I’m in US – don’t buy, but love to look (well, maybe buy something small…. Kelly, I hope you like it! Kim, I’m glad you did, too!